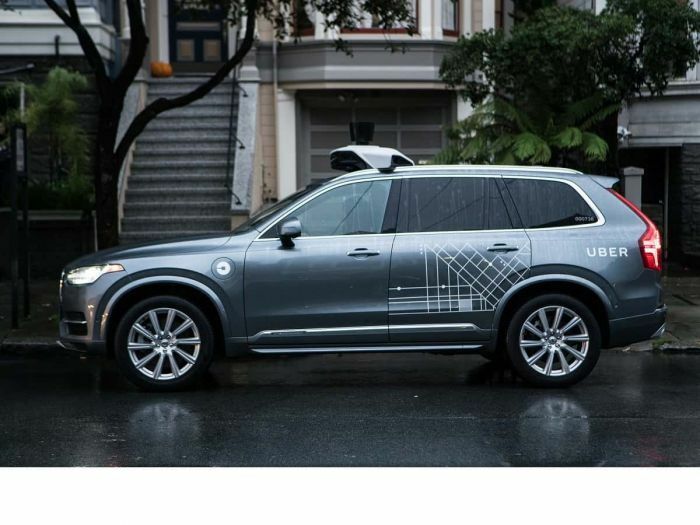 As part of its testing program for self-driving vehicles, Uber employs a safety driver. The idea is that in the event that a dangerous situation arises which the sophisticated onboard safety equipment cannot handle the safety driver will see that situation developing and take action to prevent a problem. The whole plan failed miserably in Arizona when the safety driver was shown to be looking down at something prior to a fatal crash, perhaps a phone. "Most people just want to make an honest day’s living, but far too often, there are barriers in place that prevent people from accessing work. That is especially the case for the over 70 million Americans with criminal records. That’s why Uber is proudly joining policymakers, businesses, and community leaders across the country to help break barriers, and create new opportunities for those who have paid their debt to society, but are still too often left with no good options. By working together, we can break the cycle of recidivism and give people a chance to get back on their feet." Uber's policy makes it clear that the company will even go look in person at a county record on a candidate it considers hiring. "Before a person is allowed to drive with Uber, he or she must undergo a stringent screening process that includes a driving and criminal history check. We strive to have a screening process that is thorough, fair, and relevant to the work at hand. That’s why we’ve always used county court records, even checking them physically in person if needed, to ensure we receive the most accurate information available about whether a person was found guilty or exonerated for a crime, as opposed to other methods that rely on arrest records that don’t always include final dispositions." Uber goes so far as to "Ban the box" on its job applications that asks a candidate if they have a prior criminal record. According to USA Today, the Uber Safety driver had been convicted of armed robbery, and also unsworn falsification. The driver is also reported to have used a different name in the past. So you're tone of this article make sit sound like uber and other companies shouldn't be doing this? Felon's who server their time are second class citizens and shouldn't be allowed to make an honest living?